Have you decided on a name for your band or been using a certain name? If so, have you checked to see if anyone else is using that name? Your band may not be famous yet, and you may not have played any gigs, so it’s understandable if you think you have neither the time nor the money to ensure that you are clear to use the name you chose. Nevertheless, a few things are worth keeping in mind before you start using a band name. 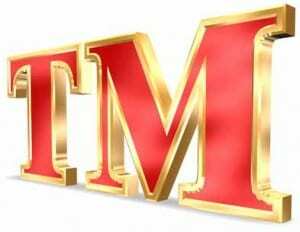 Similar to the name of a brand of clothing, a band name can function as a trademark. That is, the name of your music group can function to identify your music, performances and merchandise as coming from you — the band — in the minds of the consuming public. Typically, after tentative selection of a name to trademark, and prior to its adoption or use, many companies pay someone to conduct a search to identify possible conflicts with the rights of others. This includes name searches as well as searches made in connection with any proposed advertising campaign that features a particular theme, slogan or term, even though it may be considered a merely “descriptive” theme or term (as opposed to a source-identifying mark). Musicians often overlook or ignore the importance of trademark searching. However, given the time, money and effort you may invest or have already invested in your name and your band’s “brand,” it’s often better to spend at least some of your resources to try and ensure that you won’t have to change this brand down the road, after significant investment. Take the Grateful Dead, for instance. Initially, this ever-famous American jam band called themselves “The Warlocks.” However, when bass player Phil Lesh discovered the use of that name by another music group, the band subsequently changed its name. On the other hand, consider the Amherst, Mass. rock band Dinosaur Jr. After releasing a debut album in 1985 under the name “Dinosaur,” the members of the group were forced to change their name, after a supergroup called “Dinosaurs” — featuring ex-members of Country Joe and the Fish and Jefferson Airplane — threatened the group with legal action. The U.S. Patent and Trademark Office Database holds nationally-registered trademarks. Trademarks that are registered on the USPTO’s “Principal Register” receive certain assumptions under federal trademark law that can often be difficult to overcome by a subsequent user of the same or a similar mark. Many state trademark registers also list trademarks. Keep in mind that without a federal registration, the owner of a state registration may only receive certain protections in that state and wherever else it uses the mark. Basic internet searches (via Google, Yahoo!, etc.) can also give you a general idea of the use of your name in the marketplace. Remember that to present a potential conflict with your band name, the goods and services sold under another trademark, as well as the mark itself, need not be identical. Problems can arise even if there is some relation or similarity between two marks or the goods and services offered under them, such that consumers are likely to be confused. Moreover, keep in mind that no search is guaranteed to give you 100 percent assurance that you are free to use your band name. Yet if you take some precaution and put some effort into investigating whether anyone else is using your chosen name, you’ll likely find your resources well-invested and increase your chances of eliminating any conflicts before your albums hit the Billboard charts.